I can not tell you how excited I am about this one. 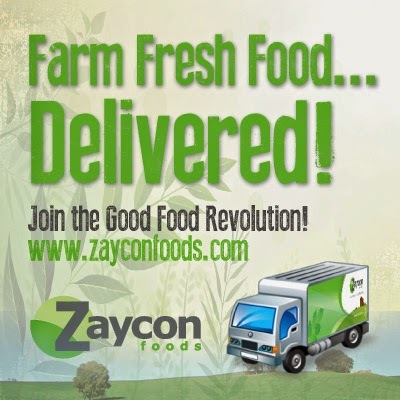 I was contacted the other day to work with Zaycon Foods. I've been wanting to work with them for awhile. They are this great company that sells the best fresh meat. They sell it in bulk. So, you always get a great price on meat. The meat comes directly from the farm to your table. They offer a different sales event each month. The next sales event is for boneless, skinless chicken breasts. Yummy. It is 100% chicken. It has no added hormones, additives or artificial ingredients. I don't know about you but I'm really tired of my food having all kinds of additives and unnatural things added to it. I want things good for me, the healthier options. I know you are thinking that means it is more expensive, but you are wrong! Since they are able to buy and sell in bulk, they can offer great prices. Like right now, for the Zaycon chicken sales event. The boneless, skinless chicken is only $1.89 a pound. I don't think you could find a better price especially for the quality of meat you get. Now your next thing you are worried about is buying that much meat at one time. For the Zaycon chicken event, each unit is sold in 40 lb cases. That is a lot of meat but don't forget that it can be frozen. Also, you could always go in with a friend or two and split the case. Of course, I have a freezer, and I always split the meat up into portion sizes. I put one or 2 chicken breasts into a freezer bag; then only take out whatever I need. So, where do you find Zaycon? Where do you get your meat? Well, you go online to the Zaycon website to order your case of chicken. When you order your chicken, you can pick where you want to pick up your chicken. They usually have a local place like a church where you can pick up your meat. All you need to do is take your receipt with you, sit in your car while they load it in your car, and head back home to put your food away. That's right you don't even have to get out of your car. 1. 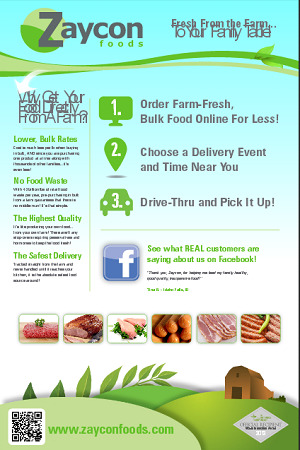 Go online to Zaycon Foods, and place your order. Right now you can place an order for 2 different events. The first one is for the boneless, skinless chicken breasts. The second one is for bacon, sausage, and chicken sausage patties. 2. On the day of your local Zaycon sales event, take your order confirmation to the place you picked not far from your house. Yep, it is that easy. I just went through the check out process and it took me less than a minute. It may take you a little bit longer because I already had an account set up. It might take an extra minute or two to enter your information. So, what are you waiting for? Go order a case of Zaycon Food's boneless, skinless chicken breasts. What are you going to fix with your chicken?